You read that title correctly, DJI has engaged the talents of an awarded Hollywood director, Claudio Miranda, to shoot an entire Hollywood-calibre movie using exclusively their new drone, the Inspire 2. Not all shots are from the air, but whether mounted or in flight, the image stabilization and overall video quality are nothing short of impressive. As the launch event for the Inspire 2 was held in Los Angeles, California, DJI thought it a good idea to shoot the entire film around the large metropolis as well. Starring Ryan Phillippe and Noah Schnapp, the movie itself is an early 20th century story with a plot based around art. 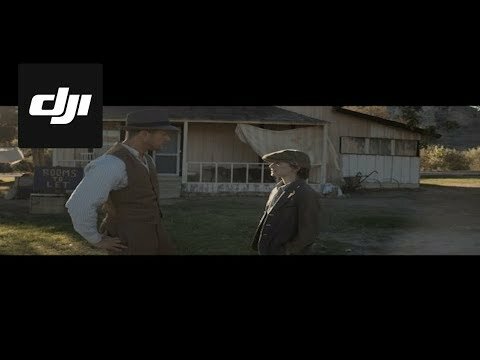 DJI seems to leave nothing to coincidence, their Inspire drones have focused on the art of filmmaking since they first took flight. Hobbyists could get their hands on the Phantom line of drones and score some impressive shots, but the Inspire 1 was a step up in every fashion, catering to videography professionals, even if without a studio budget. The original Inspire 1 retailed starting around $2000, equipped with 4K video recording, an impressive gimbal from DJI’s growing line of image stabilization gadgets, and a rather impressive camera for a quadcopter. 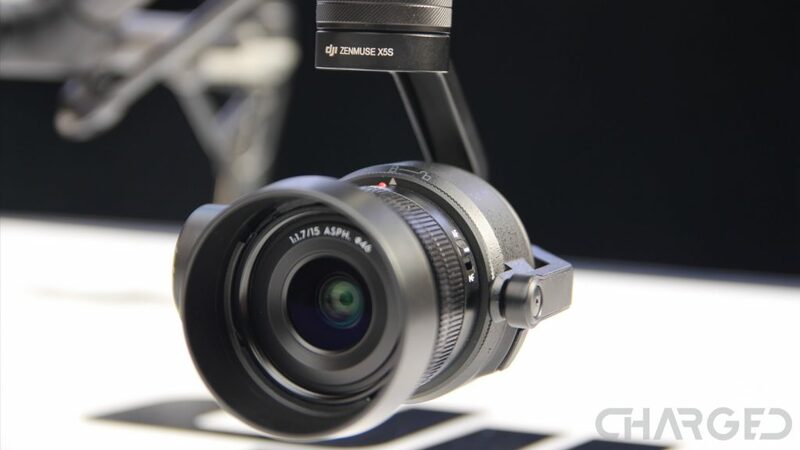 Sporting a micro 4/3 lens, the Inspire 2 continues the pedigree with 4K recording up to 60FPS and even an optional 5.2K at 30FPS on certain models. In the pre-screening cut of The Circle that DJI shared with us, a keen eye could readily notice the familiar camera movement from a drone in flight. Long flowing takes were possible, with an entirely new feel to filmography. Hollywood is well know for expensive camera rigs, particular for shots in motion, but the Inspire 2 handles it all, indoor or outside, for a fraction of the cost. We imagine the only real difficulty the Inspire 2 will present for videographers is a lack of performance in inclement weather. DJI has taken this into considerations, and demonstrated some expected flight characteristics for wind and rain, but this is still a drone, folks, it’s good, but not perfect. In the end, DJI demonstrates an excellent production based on minimal camera cost, The Circle is available to watch for free, check it out below. 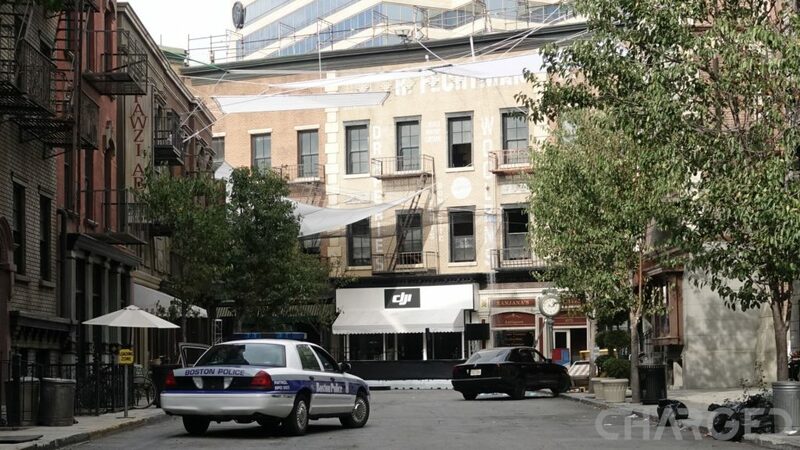 As a tease, DJI actually filmed a live sequence action story, gunfire and car crashes were live in front of us at the presentation of the Inspire 2 in LA. It was very exciting, proving without a doubt for us that the Inspire 2 can handle car chases, indoor low light shooting and an expansive street scene with folks running about. DJI has certainly made a strong case for you needing just one camera for your next production, do you think the Inspire 2 is enough for you, or even feasible with a $6000 starting price? Enjoy the film – for more information, and access to some behind the scenes coverage, check out DJI’s official announcement here.